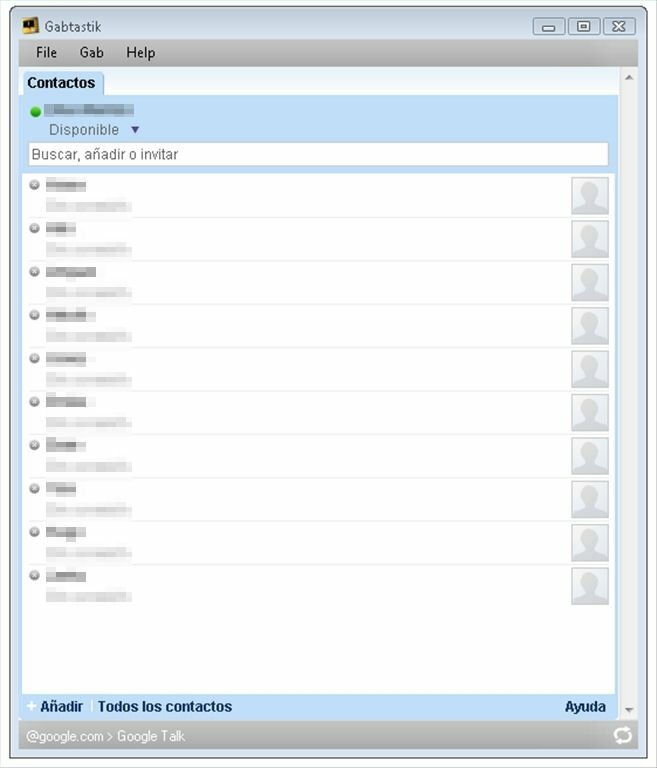 Instant messaging has reached new levels since services like Google and Facebook have added online clients to chat with contacts. 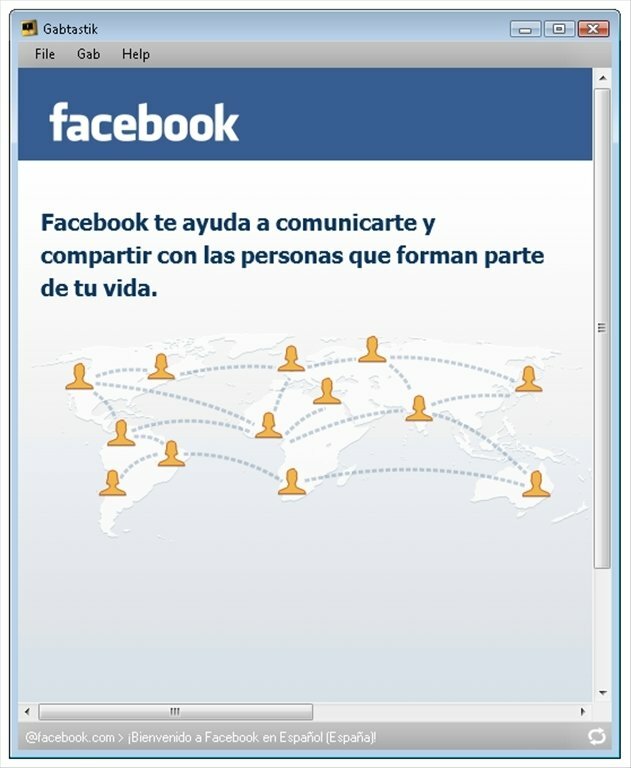 Anyone that has a profile on the Facebook social network or on Google have access to an online instant messenger, but logically it's necessary to access the web to use them, or at least until Gabtastik was launched. A site-specific browser (SSB) for chat web services. 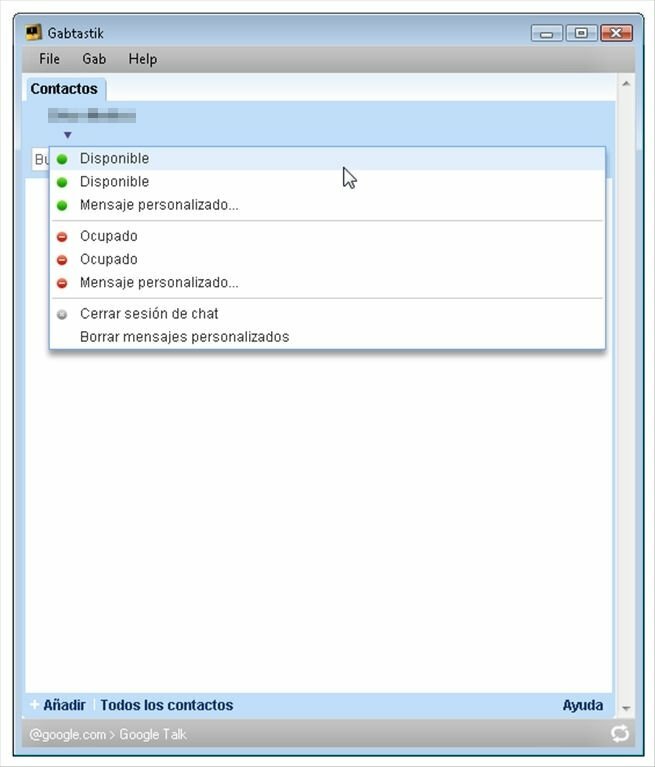 Use web chat services directly from your desktop. Compatible with the Facebook and Google Talk chats. Join the contacts from both services clearly maintaining its differentiation and easily alternate between them. Configure the size of the window and its opacity of the screen. 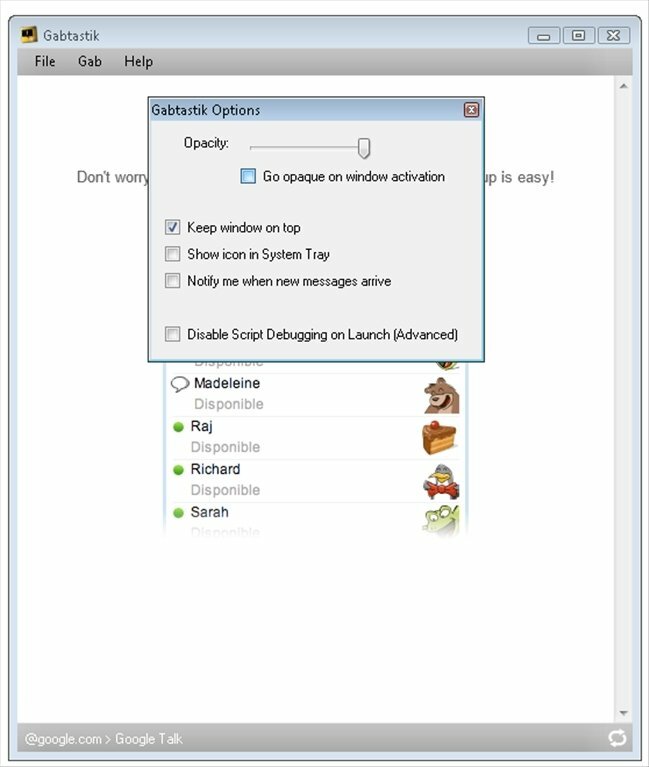 Gabtastik takes care of separating these chat clients from the services that they belong to and making them accessible without opening the browser. Furthermore, this makes them easier to use, because normally their size on the website is small, thus affecting how they are used. 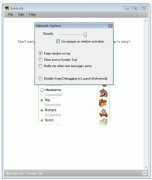 Download Gabtastik for free and chat with your Facebook and Google Talk contacts from your PC's desktop as if you were using an instant messaging client that is independent regarding web services. Accessing the Facebook chat can generate some types of errors related with Internet Explorer scripts. This download requires Adobe Flash Player. On Windows XP it's necessary to install .NET Framework 2.0.